See below for final list. 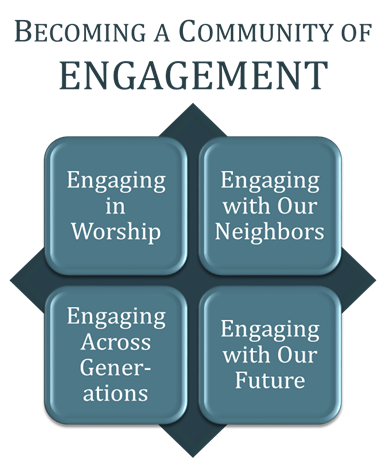 Envisioning a Hopeful Parish Future --Numerous articles from this page are relevant including "Core Values" , "What Kind of Parish..." and "Parish Vision Toolbox"
Parish Renewal and Revitalization -- An array of potentially useful articles. Communications - Internal and External - Articles on Improving Websites and Parish Bulletins, Tips for taking good photographs. Leadership & Parish Council - Articles on Parish Council Practices, Reorganizing parish ministries, Learning to delegate.